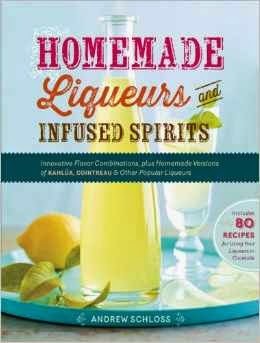 I have a fantastic cookbook to share with you today: Homemade Liqueurs and Infused Spirits by Andrew Schloss. 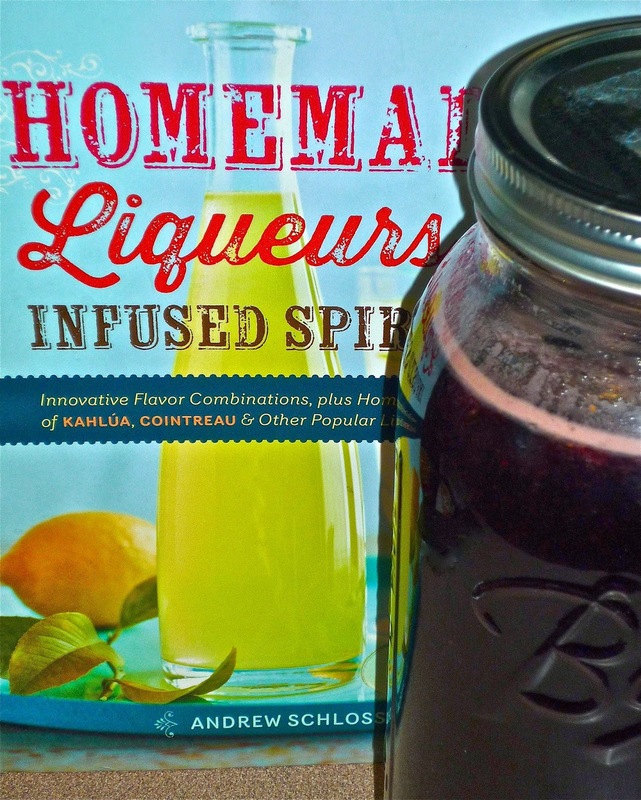 In this book, he shares 150+ recipes that demonstrate how to make your own liqueur at home. Not only is it very easy to do, it saves money...and lets you try a few flavor combinations you haven't seen in stores before. I absolutely love this book...it's my favorite cookbook of the year so far! Some of the flavors that immediately caught my eye as I flipped through the book were In Praise of Fraise (strawberry liqueur), Summer Cantaloupe, Raspberry Rose, and Lemon Mousse (a creamy liqueur). In the end, I opted to make the slightly exotic Blueberry Balsamic liqueur from the book. The idea of wild blueberries with a bit of acidic depth from aged balsamic really caught my attention. I headed to the store to buy the ingredients to make one quart of sweet-tart blueberry liqueur. 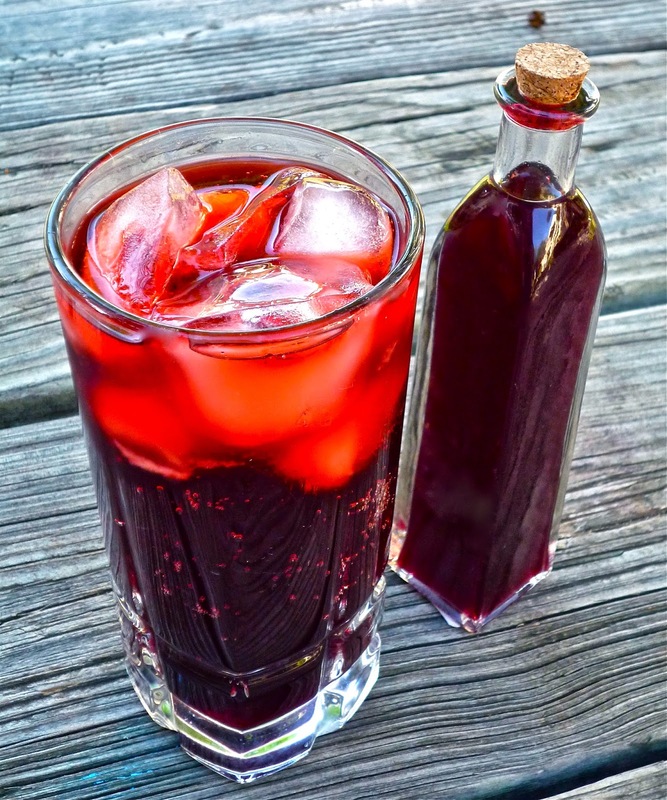 Because this liqueur is made with a combination of vodka and red wine, it's a bit lower in alcohol than most liqueurs. I found Schloss's step-by-step directions in the book a snap to follow. The prep work to assemble the liqueur literally took less than 10 minutes, but you do need to allow 7 days for it to properly tincture. That's all hands-off time, so all you have to do after the initial prep is be patient. After a week, you'll be rewarded with a gorgeous purple liqueur that smells and tastes like sweet wild blueberries, with a back note of aged balsamic! 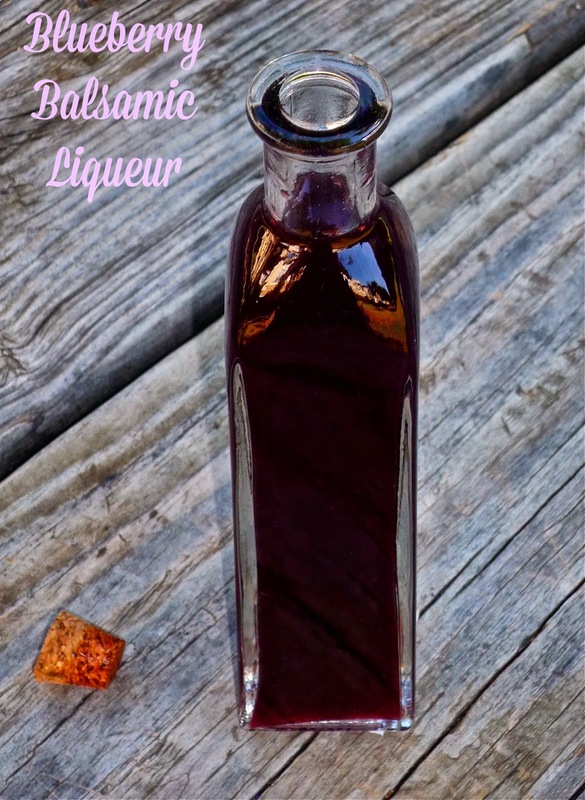 Come see just how easy it is to make your own homemade liqueur. 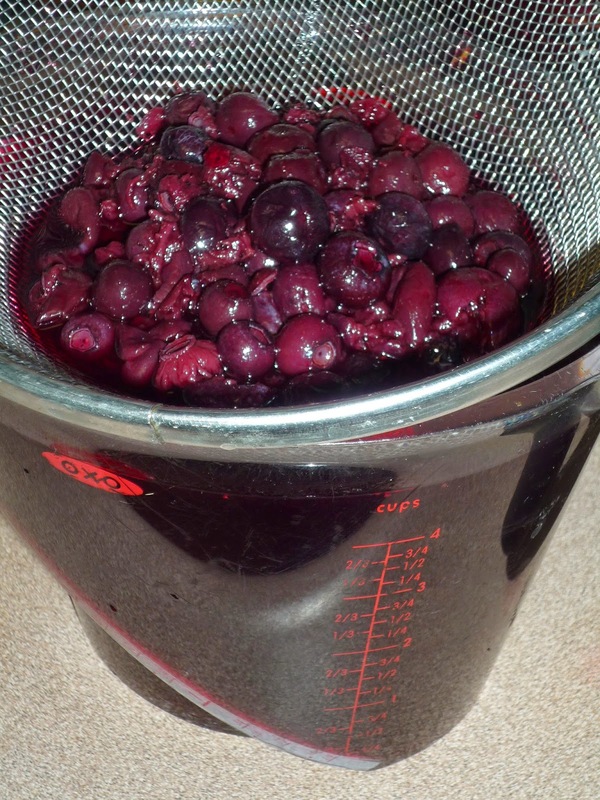 Step 1: Muddle the blueberries and simple syrup with a wooden spoon in a half-gallon jar. [NOTE: I used a half-gallon Ball canning jar.] Stir in the vodka, wine, and balsamic. Step 2: Seal the jar and place in a dark, cool cabinet for 7 days. The liquid will smell and taste strongly of blueberries by then. Strain the mixture with a fine mesh strainer into a clean quart jar. Do NOT push on the solids to extract more liquid. Step 3: If desired, strain into a large spouted measuring cup and pour the liqueur into smaller, decorative containers for easy sharing with friends and family. If using a quart jar, seal it tight and store the liqueur in a cool, dark cabinet. Use within 1 year. Use your own homegrown fruits, vegetables, and herbs to make it really personal! Have ready-made creative housewarming or hostess gifts on hand anytime. 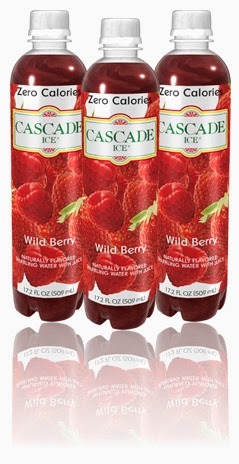 For a Summer-inspired sparkling cooler that really showcased my sweet-tart liqueur, I simply combined 1/3 cup of my homemade blueberry balsamic liqueur with 12 ounces of Cascade Ice Wild Berry zero calorie sparkling water. The two simple ingredients were poured over ice cubes in a tall glass, and everything was given a stir with a straw. Easy peasy, and the flavors played perfectly with each other. Even better? I was able to put my drink creation together in a snap, making this perfect for al fresco Summer dinners or pool parties. Make sure to use a clear glass for this drink to show off its gorgeous shade of deep purple! Now...who wants to get in their kitchen and make some homemade liqueur of their own?!?!?!? One lucky reader is going to receive their very own copy of this fantastic cookbook. To enter, simply leave a comment telling me your ideal liqueur flavor. I'll accept entries until Tuesday, May 6th at 1159 p.m., and I'll notify the winner via e-mail the following day. Good luck! Disclosure: I received a review copy of Homemade Liqueurs and Infused Spirits to facilitate this feature. The cocktail recipe suggestion is a creation of The Weekend Gourmet. All opinions expressed are solely my own.